A couple of weeks ago I was telling you about the fun spa party I was hosting. Well, the party has happened and it was a success! 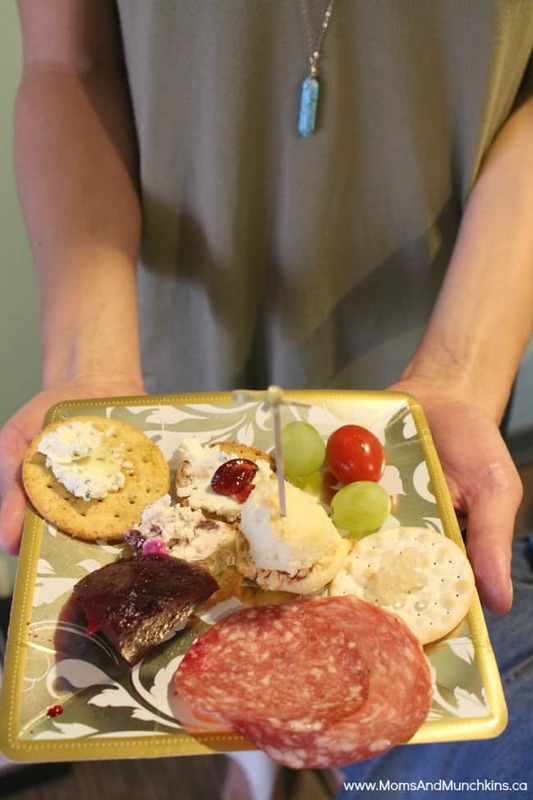 We received cute pedicures & we ate delicious canapés with Boursin cheese. By the time we left, our bellies were too full for supper. 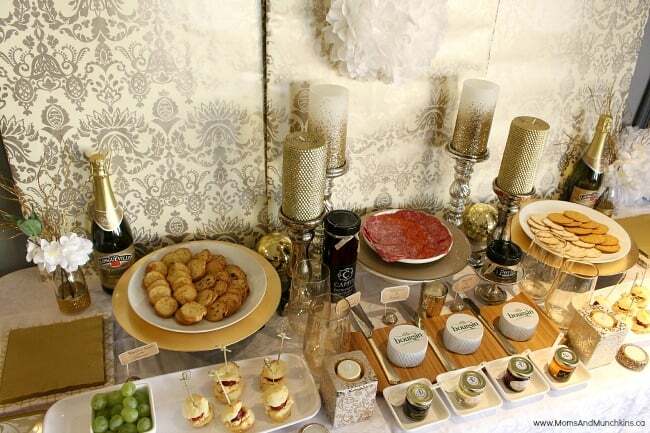 Now that’s a sign of an irresistible appetizer bar! 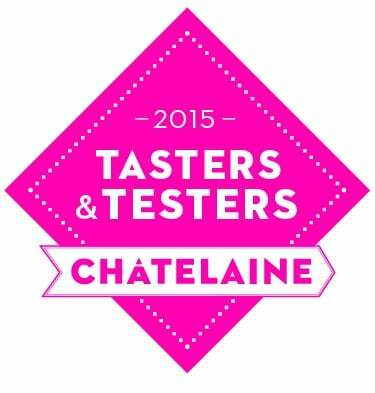 As part of the Chatelaine Tasters & Testers, I received an “Irresistible Treat Box” filled with Boursin cheese coupons and other goodies. 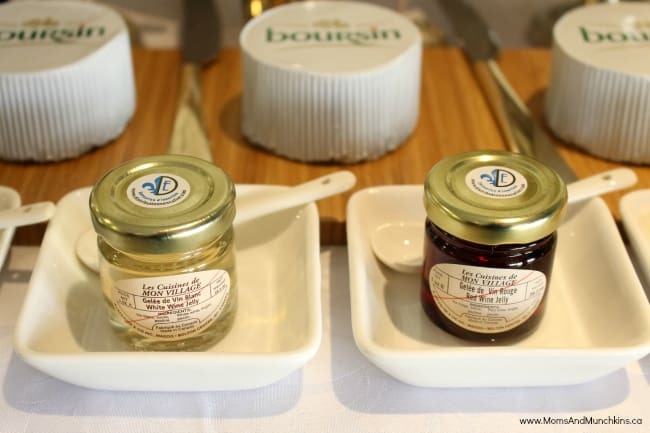 Boursin is made in Quebec with 100% Canadian milk and ingredients of choice. In this post, I’ll be giving away two “Irresistible Treat Boxes” to two lucky winners! You’ll find the giveaway entry form at the end of this post. 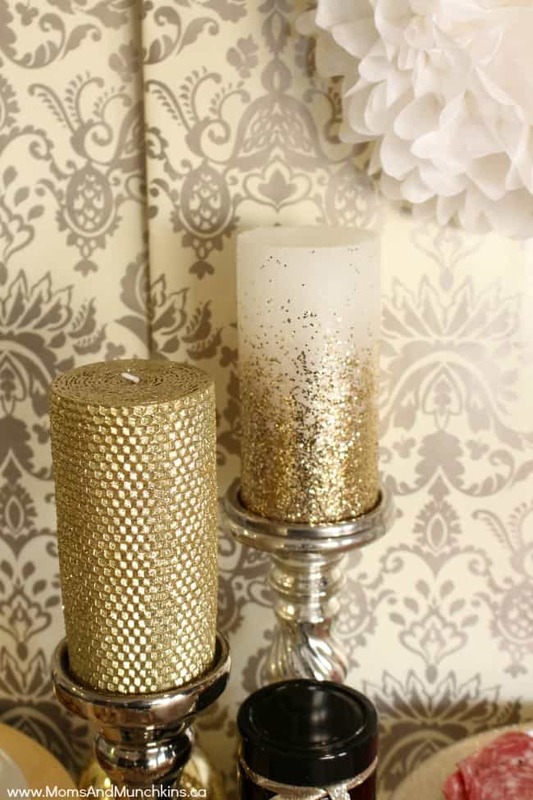 I wanted a warm inviting setup for the party so I went with a lot of white & gold colours with plenty of candles. 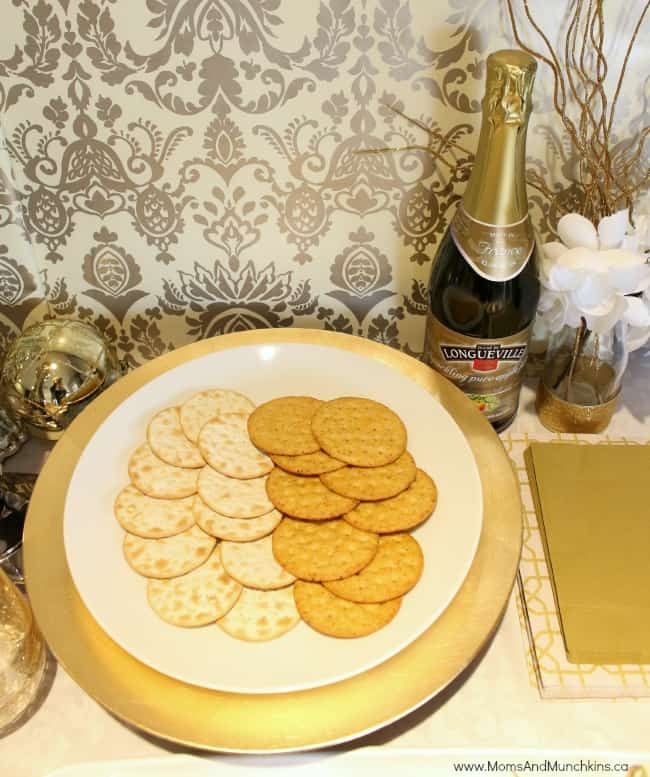 One of the easiest ways to set a background for your party table is to cover foam boards with wrapping paper. It’s so easy to do and it’s really inexpensive! 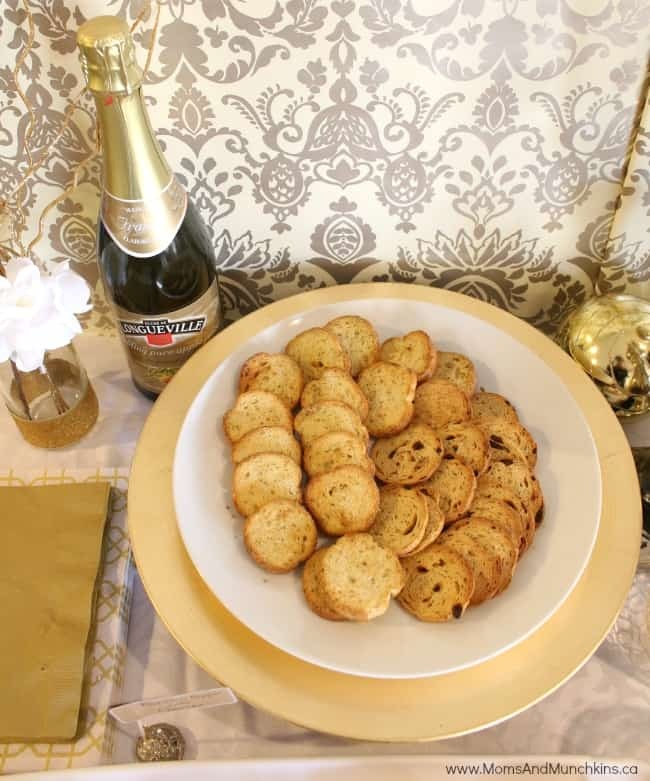 Gold chargers were set on top of cake stands to hold the crackers, baguettes and meat. 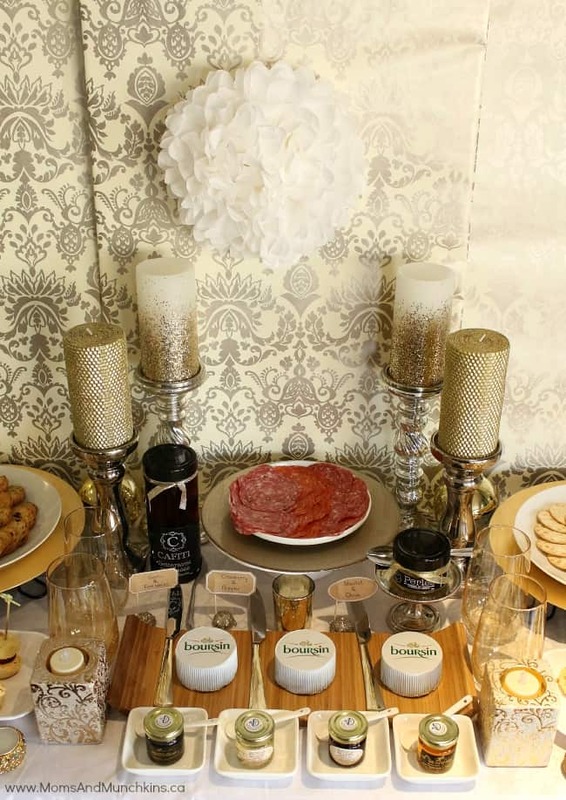 The Boursin cheese sat on a wooden serving tray with gold table knives. I love the way the aluminum corolla also acts as a serving dish! 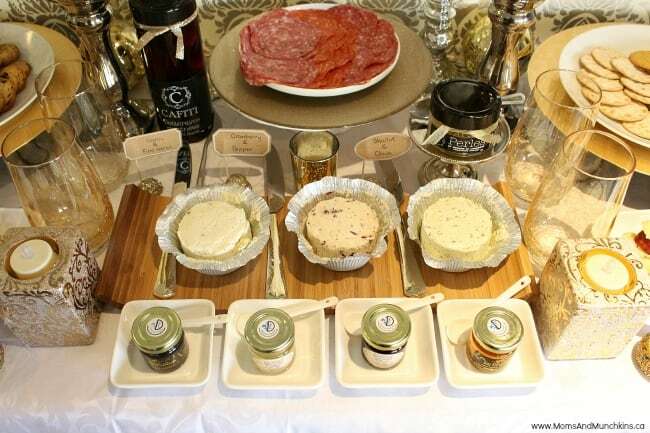 For the Boursin cheeses, I served Garlic & Herb, Cranberry & Pepper and Shallot & Chive. 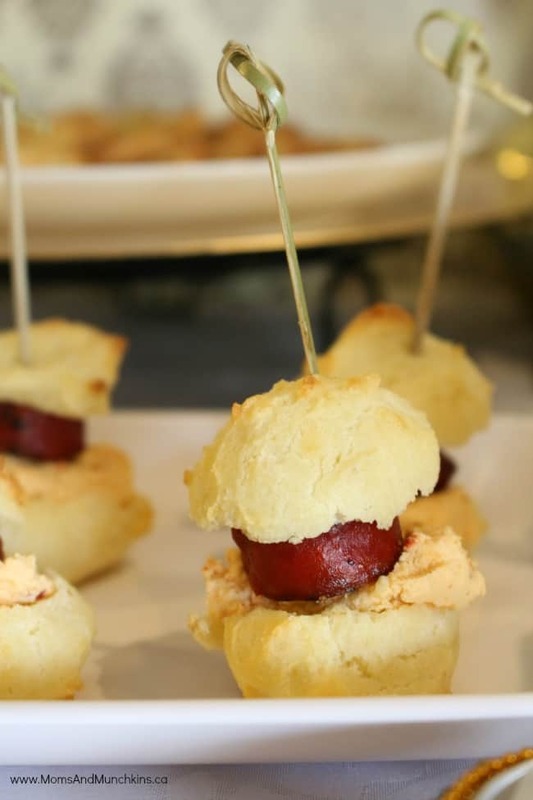 I also used the Red Chili Pepper Boursin cheese with chorizo sausage in the profiteroles. They were so tasty! Find out how to make profiteroles here. 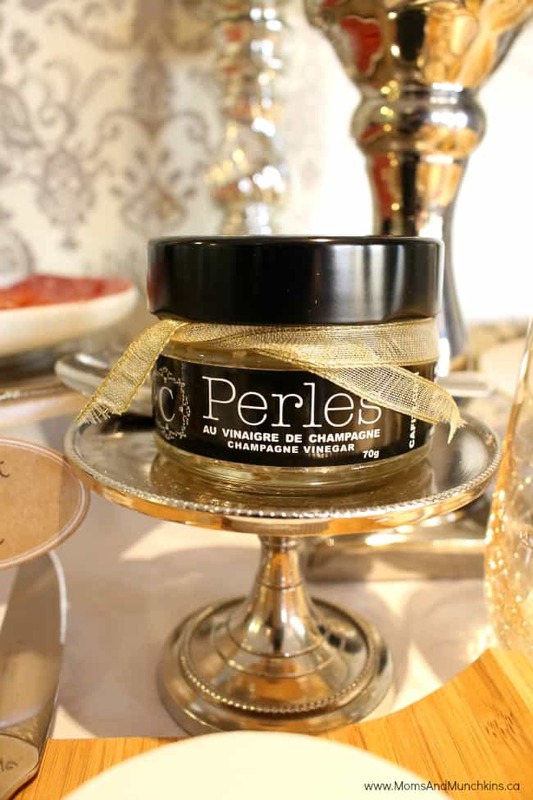 Guests were invited to make their own Boursin canapés with the ingredients on the table like meats, baguettes, crackers, gourmet jams, champagne vinegar, and pickled beets. Everyone loved the food! The Boursin cheese has a delicious velvety smooth texture and I think it tastes great with just about everything! You delicately slice off a piece, lay it on your cracker or baguette and add the rest of your toppings. It’s a delicious way to take your appetizer bar from ordinary to extraordinary. To finish off the table, I added paper gold plates, gold napkins, gold glasses and flowers in vases accented with gold ribbon. For drinks I served sparkling apple juice. I guess the juice got shook up in the vehicle on the way to the spa because when I tried to open it, the top popped open like a champagne bottle and juice sprayed into the air. It’s a good thing I brought two bottles with me! Now it’s time to give you the opportunity to win one of two “Irresistible Treat Boxes” valued at $250 each! 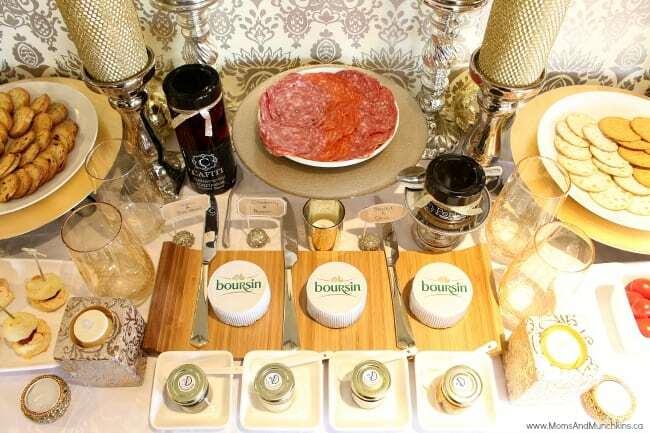 Two lucky winners will win a treat box filled with items to help you plan your own irresistible Boursin appetizer bar. The winner must by a Canadian resident who are over the age of majority in their province or territory of residence at the time of entry. ENTRY LIMIT: Only one (1) entry per person and per Facebook account for the duration of the contest. You must submit your answer in the commentary box below this blog post. Winners will be randomly selected in Canada on December 7th, 2015 at 5PM. If the winner has not claim the prize before December 9th, 2015 at 11h59, a second draw will occur. Entrants are eligible to win one (1) grand prize consisting of Irresistible Treat Box from Boursin. There are 2 boxes to win of a value of $250 each. The name of the winner will be announce on Facebook and Twitter after the closing date. The contest starts on November 26th 2015 at 10AM and ends on December 4th, 2015 at 4:59 PM – Eastern Time. THIS GIVEAWAY IS NOW CLOSED. WINNERS WILL BE ANNOUNCED SHORTLY. My favourite is the Garlic & Fine Herb one! Garlic and herb is my favourite too but cranberry and black pepper is a close second. My favourite Boursin flavour is Cracked Black Pepper. I love the cranberry and pepper. Its so yummy I can eat it just with my finger. I love the garlic and fine herbs best. My favorite would be the Garlic & Fine Herbs. My favourite Boursin flavour is Cracked Black Pepper! TY!!! YUM YUM! Our family loves the Boursin flavour is Cracked Black Pepper, I always pick up two, one is never enough! Cranberry & Pepper is my favourite. My favorite is the Shallot & Chive! I love it!! My favorite is the Garlic & Fine Herbs! The RED CHILI PEPPER is my fave! My favourite Boursin flavour is the Garlic and Fine Herbs! I get it at Costco in bulk lol. My husband would like Red Chili Pepper flavour. I love Garlic and Fine Herb! Mmm..
Garlic & herb is my favourite. I like the garlic and herb. I like Cranberry and Pepper!!!! Cranberry & Pepper has got to be my favourite. Although all of the flavours I have tried have been great, my favourite continues to be the Garlic and Fine Herb. It is so tasty and versatile. My favourite is still the Garlic and Fine Herb but they are all delicious!. My favourite is garlic and fine herbs. I love the cranberry and pepper, I just can’t stop eating it!!! I’d go for the cranberry & pepper. I like the garlic and fine herbs. The Garlic and Fine Herb is amazing! My favourite Boursin flavour is Cracked Black Pepper. Love it! love the cranberry and pepper. My favorite is cracked black pepper. I love the Garlic and Fine Herbs, yum! My favourite has always been the Garlic and Fine Herb. I do like the others but I always gravitate towards that blend. Garlic and Fine Herbs is my favorite. 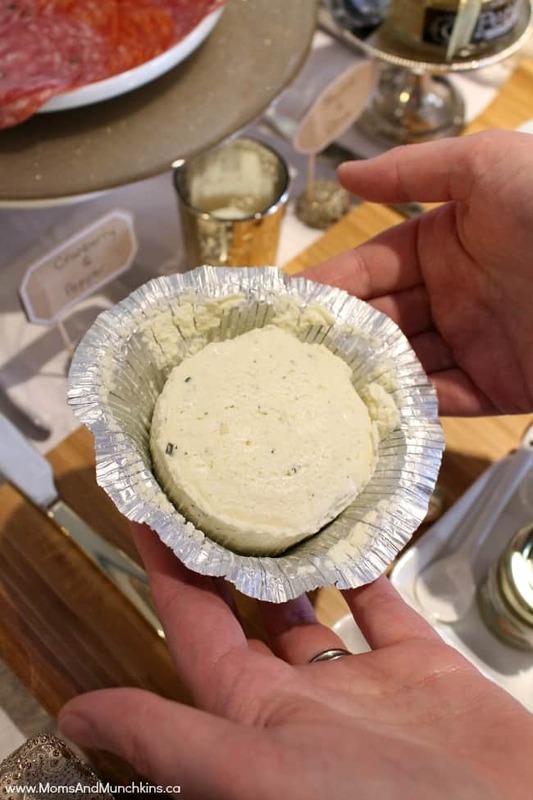 Garlic & Fine Herb Boursin cheese is my family’s favourite! 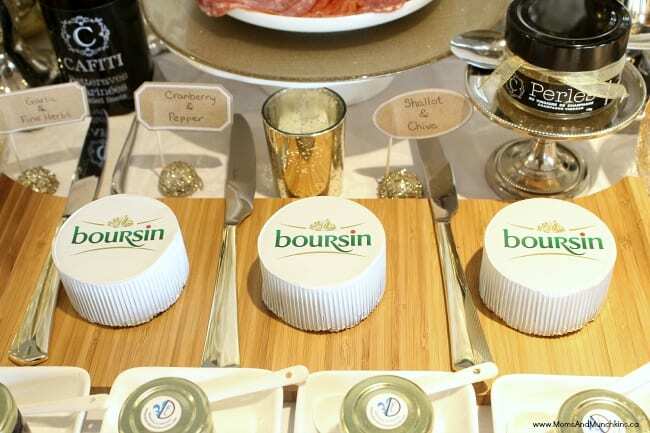 My favourite Boursin flavour is Garlic & Fine Herbs! My favorite is the Garlic & Fine Herbs. my Favorite is the Garlic and Herb. Oh Yumm!! The garlic and fine herb cheese is my favourite! My favourite Boursin Cheese is Garlic and Fine Herbs; I like a lot of Boursin products, but this one is my go to and favourite. I haven’t tried it and they ALL sound so incredibly delicious. Think I would like garlic and herb or shallot and chive the best. My favourite Boursin is cranberry & pepper. the garlic and fine herbs is mine. 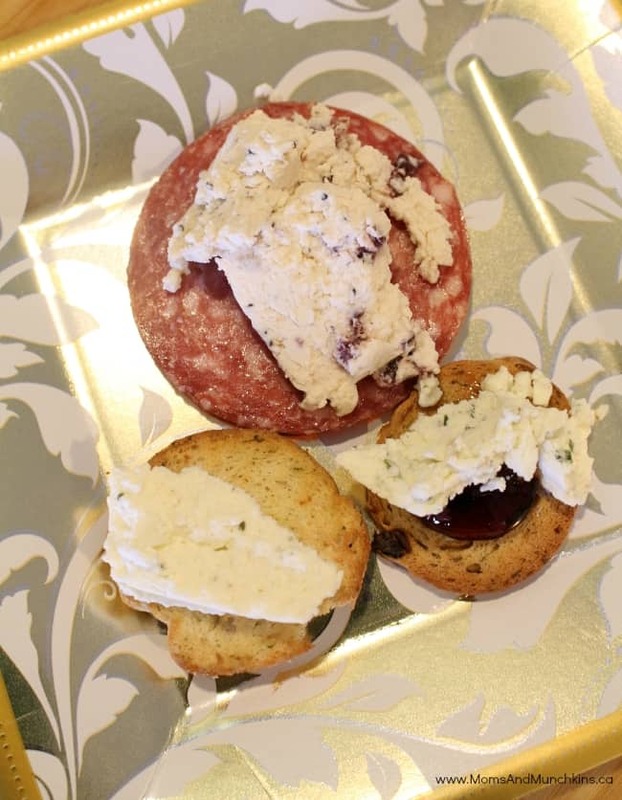 My friend makes home made crackers which are amazing enough already but then she serves them with the Cranberry and pepper Boursin–to die for!!! My favourite is garlic and herbs. I love the garlic and fine herbs! Garlic & Fine Herbs is my favourite! garlic and fine herb is yummy. The Garlic & Herbs flavour sounds delicious! Cranberry and Pepper sounds festive and delish! I love the Cranberry and Pepper. My favourite is the garlic & fine herbs! Shallot and Chive is my favorite! 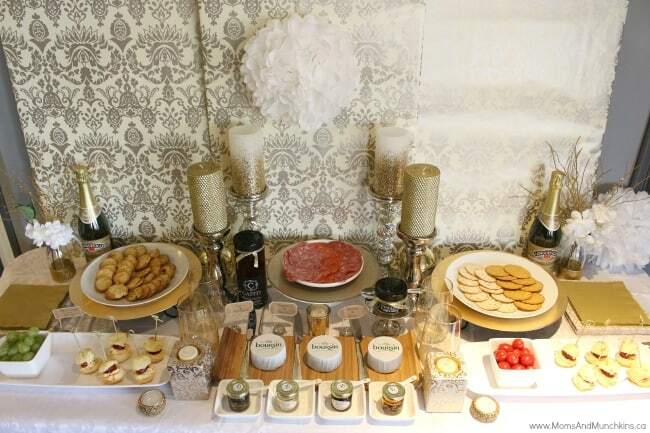 Beautiful appetizer table !! You made everything look irresistible ! 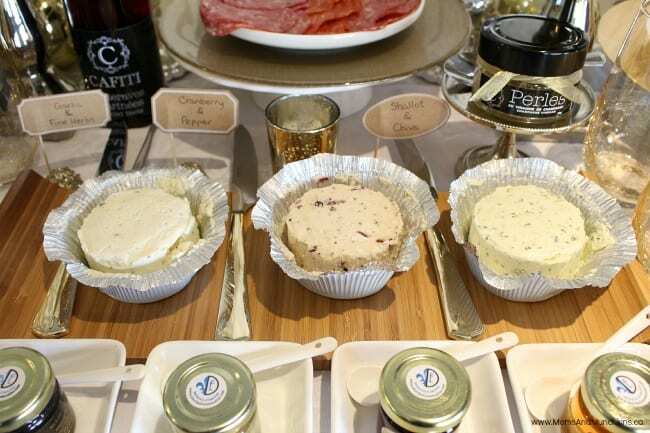 My favourite Boursin cheese is the garlic and fine herb pairs well with any flavours . Love love love the fine herb and garlic flavour it is very tasty. Garlic and herbs is my favourite. Garlic and Herb is my favourite. It’s delicious! The black pepper one that I enjoyed a fair bit. The shallot and chive! Yummy. Thanks for the contest. MMM Garlic and Fine Herbs is my FAVE! I love herb and garlic!!! My favorite is garlic and fine herbs!!! My husband isn’t a big cheese eater but when I open a package of Boursin cheese he gobbles it right up!!!! cracked black pepper is my favourite. Thank you for the chance! Wow what a spread!!! My favourite would be garlic and herb! Black pepper is my fave! 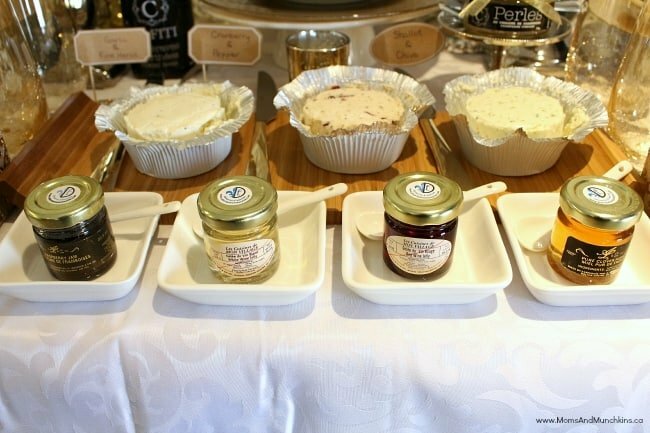 My favourite is Garlic & Fine Herbs, except around the holidays…at holiday time, it’s the Cranberry and Pepper. Mmmmmm Boursin! garlic & fine herbs is my favorite. I love the garlic and herb one, sounds delicious! I can eat black pepper Boursin by itself, but shallot and chive is amazing on crackers or with bread! I adore the Garlic & Fine Herbs! My absolute favourite Boursin flavour is Garlic & Fine Herbs. Garlic and Herb is my favourite! I THINK I WOULD LIKE THE BOURSIN WITH CHILI PEPPER THE BEST! I love Garlic and Fine Herbs. Garlic & Herb is my favourite!! Thanks for the chance! I’ve never tried Bourism but the garlic and fine herb sounds delicious! Yes please!!! My favourite Boursin flavour is the Cracked Black Pepper! I love the Garlic & Fine Herbs Boursin. My favourite is the Cranberry and Black Pepper! Cranberry & Pepper Is a new fav! Garlic and herb- great on crackers and also good spooned onto hot pasta. The Garlic and Fine Herbs sound pretty amazing. Garlic and Herb is my favourite. Garlic and Herbs is my favorite flavor. yummy! Love love love garlic and herb!! I love them all but shallot and chive is my favourite. I really adore the Cranberry and Pepper flavour! Garlic and Herb! So great for the holidays!